Peru is more than the Amazon and Machu Picchu – the country has a story to tell, and an interesting one to say the least. 24 km north-east of Cusco and about 130 km east of Machu Picchu, the Quechua women are running the local market of Ccaccaccollo. Sustainability is more than an important buzzword for women here. It is integrated in their roots and tradition – they source Andean materials from plants and insects to dye their clothes. These sacred Inca traditions survived the mid-16th century conquest by the Spaniards but suffered greatly from the tourism boom in the 1990s. A snapshot: Tourism surged from about 95,000 a year (including locals) in 1992 to 1.1 million in 2014! This led to an economic imbalance and caused women and children to sell souvenirs to tourists or beg on the streets, rather than continuing their traditional textile businesses. In 2005, Planeterra – the non-profit foundation created by our friends at G Adventures, launched the Women’s Weaving Co-op in Ccaccaccollo. Local women relearned weaving techniques and, with the guidance of the foundation’s experts, started selling handmade alpaca clothing. 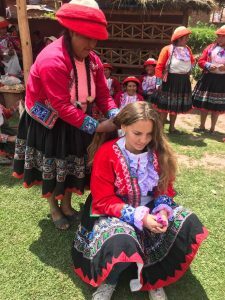 Simon Willis, CAS Trips South America manager, reported on the rebirth of these ancient skills amongst Ccaccaccollo women in The Guardian. This wonderful article can be read here. For those of you that don’t know – Peru is one of our CAS Trips destinations. 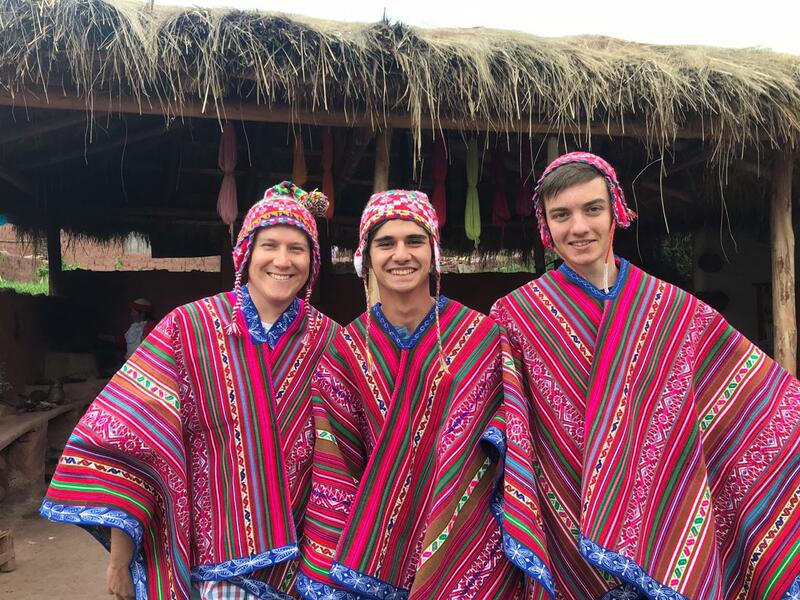 Our trip to Peru is more than just visiting the regular tourist hot-spots. You will have the chance to immerse yourselves into the Quechua life by learning how to construct a house using adobe clay bricks and help the local villagers fix homes, for example. 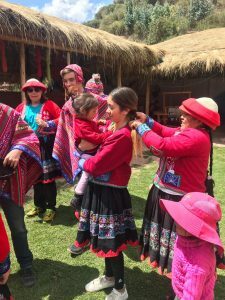 You’ll experience the Peruvian sunrise and accompany your host family onto the fields to harvest crops and learn about the Andean grains, products and farming cycles. During your trip to Peru you will learn about the consequences of over-tourism, the traditions of the Quechua life, traditional farming, storytelling rituals and uncover the fascinating stories of Machu Picchu. Ready to explore Peru? Keen to learn more about the country and meet the Quechua women? Contact us today and we’ll be happy to put together an itinerary for you and your school.